Pet breeds in WoW are used to determine the primary stats of your battle pets. So if you want to maximize your pets' fighting potential, understanding how breeds and breed IDs work is crucial. All battle pets come in various breeds. A pet's breed is what governs its primary stats: Health, Power, and Speed. Essentially, breed determines whether a pet is tough, powerful, speedy or a combination of these things. Many pets have a predisposition toward a specific set of stats based on their type. For example, turtles tend to have higher health while marmots tend toward higher speed. Other pets have breeds that vary accross the entire spectrum. The number of breeds available to a specific pet also varies. Non-wild pets usually have only one breed. Meanwhile, most wild pets come in a wide variety of breeds. Each pet's breed, whether non-wild or wild, is determined by its numerical breed ID. There are a total of 10 breed variants, each with its own strengths and weaknesses that mathematically contribute to a pet's primary stats. For each of these 10 configurations, there are actually two breed IDs. These two IDs are exactly the same, EXCEPT one indicates a male pet and the other, a female pet. FYI: A pet's gender does not have any bearing on its stats or appearance. However, Blizzard has stated they may implement a pet breeding system in the future, in which gender will play a crucial role. The table and formulas below explain how a pet's stats are calculated according to its breed ID. In this table, you can see how breeds with the maximum possible points in one primary stat have more total points than breeds whose points are spread accross multiple stats. For example, breeds 4 and 14 have the highest possible power (20), giving them 20 total points. However, breeds 3 and 13 have their points spread accross all three stats (5 in each), giving them the least possible total points—only 15. So if you're looking to maximize the health, damage or speed of your battle pets, you'll want to stick with breeds whose points are focused in just one or two stats. So how does a pet's breed actually affect its stats? Want to avoid having to do all that math? Well, you're in luck! We've got a stat calculator that will crunch all of these numbers automatically for every battle pet. Each battle-ready pet on our site has a "Battle Info" tab in its pet profile. At the top of this tab, you'll find the pet's stat calculator. You can adjust the pet's level and rarity, and then cycle through all of its available breeds. (Note that some pets only come in one breed.) 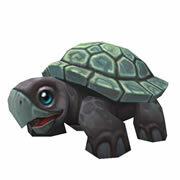 Cycling through each breed will tweak the overall stats of the pet. In addition to this guide, here are some additional resources that may be useful in assessing pet breeds and breed IDs.